« Review of War Caused Disabilities and Pharmaceutical Costs. 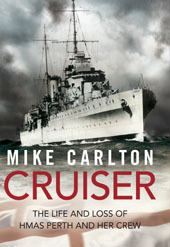 I have just finished reading Mike Carlton’s book “Cruiser” The Life & Loss of HMAS Perth I would recommend it’s reading to anyone who had an interest in WWII events in particular the Royal Australian Navy. Copyright © 2011 Bob Witt. All Rights Reserved.